Gigi has hit the mending basket. Gigi has been working on her Cassidy! 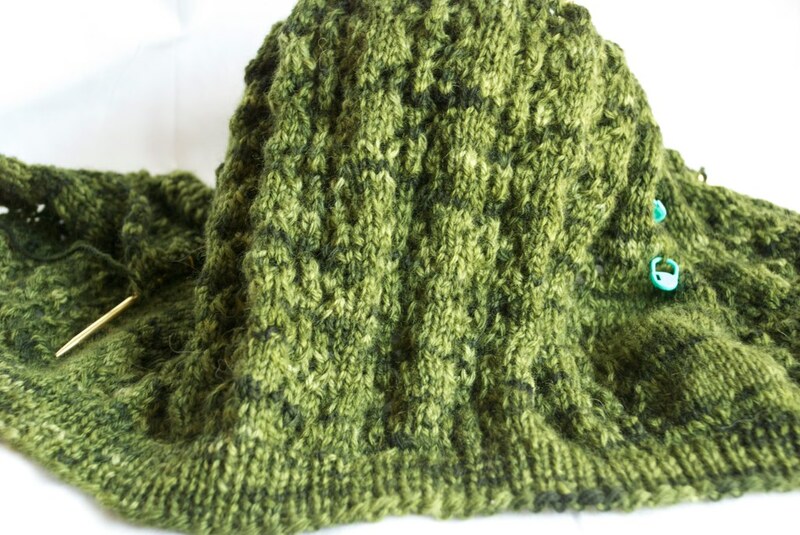 Jasmin mentions a sweater she was knitting for Andrew- an Alice Starmore Gansey. Gigi is dissatisfied with the Manos Rittenhouse yarn. Jasmin has been working on her deeeelicious Cece. Jasmin mentions her Seneca sweater. We mention the Button Emporium and the Ernst's website for buttons. Gigi is still working on the Heart to Heart scarf by Sivia Harding. 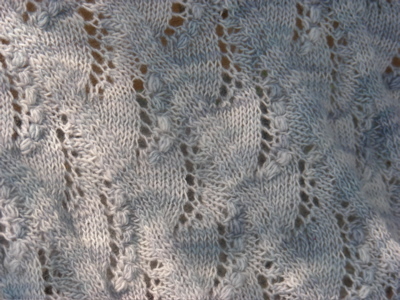 Jasmin has made progress on the sleeves for Meghan's Twist cardigan. Gigi sets a goal to knit 52 socks in 2011. Jasmin has cast on a new pair of socks out of Abstract Fiber's Tempation (color: Snapdragon), and she is going to try an afterthought heel on them. Jasmin draws a comparison to Casbah. Jasmin has finished her pair of Supernatural Socks! We pull a question out of the "What do you want to hear about?" thread - how and when do we wear handknit socks? We mention clear clogs, Regia boots, clear converse, and Dansko clogs. Jasmin has three attacks in two hours while working on the sleeves of Meghan's Twist cardigan. This week we review "Comfort Knitting and Crochet Afghans " by Norah Gaughan, Margery Winter, and the Berroco Design Team. Gigi liked the variety, design, and contemporary nature of the patterns. Jasmin did not like the book, but she also admits that she doesn't knit blankets or afghans. 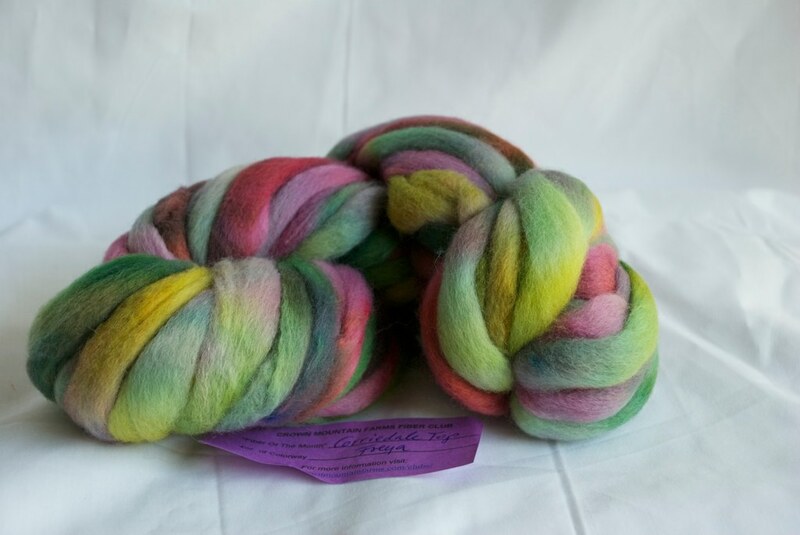 This week, Jasmin talks abut the Corriedale top from Crown Mountain Farms' Fiber of the Month club. (Pictured above.) 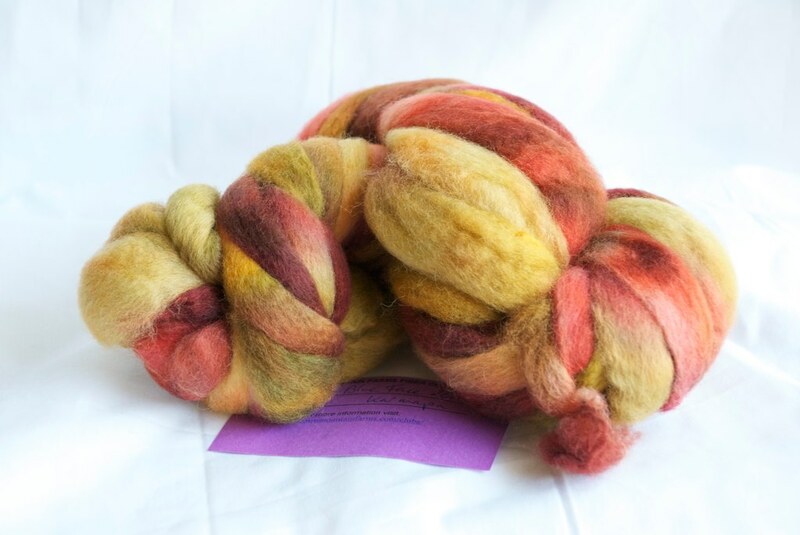 Jasmin also mentions the Fiber Fiend Superwash Corriedale.